Can I extend my online studies? You are given access to the online resources for a period of 6 months from the start of each unit. If you wish to extend this period then let us know and for £50 we can extend your study period. How long do I have access to Sageone for my level 2 studies? You have access to a free version of sageone for 3 months from the point at which you download it. If you need to extend then there will be a fee of £36 plus the £50 to extend access to the online resources. Am I able to cancel my course? If you wish to cancel your online course, you must cancel within 14 days of receipt of the materials. If you wish to cancel an online course, the full fee will be refunded provided all study materials are returned in re-saleable condition within 14 days of receipt and the customer’s online account will be removed. How do I claim my £100 online discount if I book a unit at a time? Simply email us for a voucher code to use when you make your last unit booking. This will apply the £100 discount to the price of the last unit. Do i need to study the full level 2 accountancy to get my qualification? The AAT qualification can be accessed at any level, 2, 3 or 4. Your entry level depends on your existing knowledge and experience. Essential knowledge to cope with level 3 accountancy are basic bookkeeping skills. These are learnt from the level 2 bookkeeping qualification. 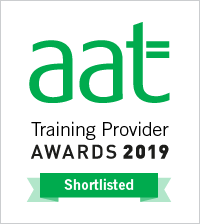 For a mature student with work experience but not necessarily in finance or accountancy then the level 2 bookkeeping is an ideal way to access the AAT qualification at level 3.